Disco never died if it's still in your heart! Get ready to hit the dance floor and pull off the most epic dance moves anyone has ever seen. All you need are these funky Men's Disco Loafers and you'll be sure to impress everyone around you. Look through our collection of Disco costumes and 70's accessories. 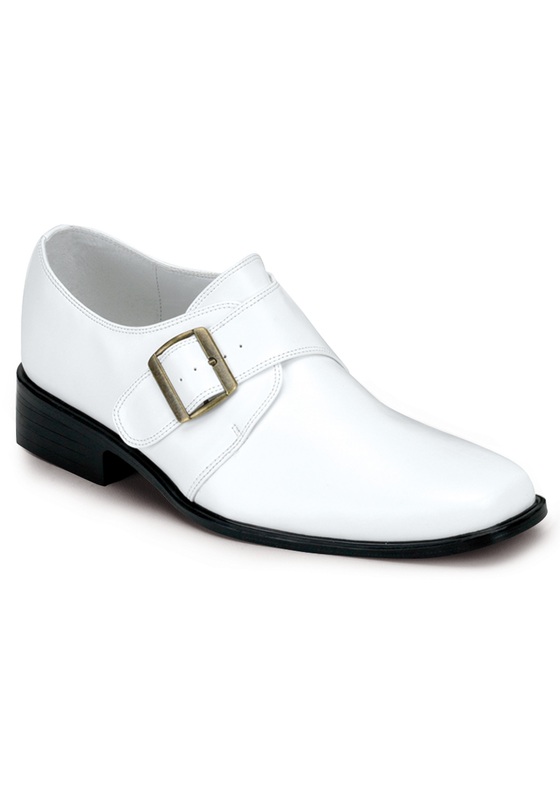 After you find the perfect outfit to hit the dancefloor in then you just need to complete your costume with these flashy white loafers. Once you're on that floor strutting your stuff, all eyes will be on you. You'll feel like you're the center of the universe while you're cutting rug under the disco ball. So if you've got a bad case of Disco Fever to rid yourself of this Halloween, you know what you need to do. Request your favorite song, slip on these shoes, and make everyone notice you as you dance the night away!